iTunes provide the facility to burn a CD for your friend, or create demo to pursue a music career. There can be different reasons as to why you might want a hard copy of the iTunes music. 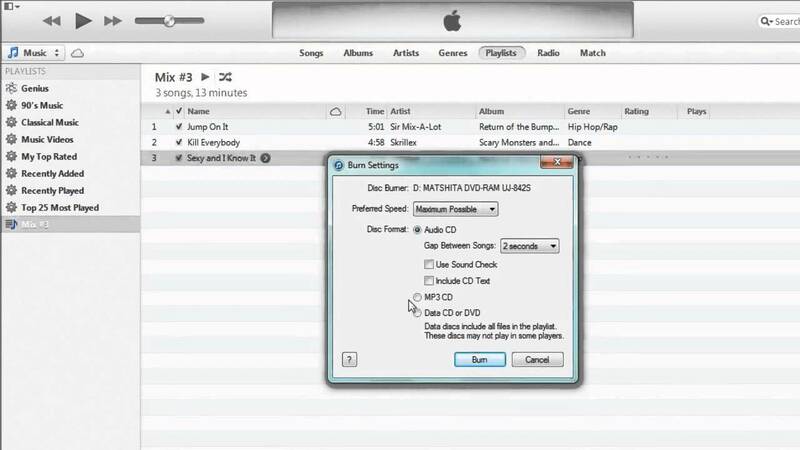 The process of burning the CD with iTunes is simple and this article will provide the necessary steps for CD burns. New iTunes user might not have any clue in burning the CD but this article will provide the necessary steps to solve your concern. Make sure that the burnable CD is large enough to store necessary to store enough music. Click on ‘File’ and then ‘New’ to begin a new playlist. By clicking on the highlighted text user will be able to rename the playlist. Now add songs to the playlist. Simply drag and drop the songs in the burned CD over to the playlist just created. Next, insert a blank CD-R / CD-RW disc and wait till the disc is recognized. It should be visible on your desktop and the whole process doesn’t take more than 30 minutes. Now select ‘File’ and then ‘Burn Playlist to Disc’. Figure out the burn settings and then click on ‘Burn’. Wait for sometime till the computer burns the information to the disc. Finally user will be notified when the disc is completely burned. If there is any problem in burning CDs with iTunes then contact the support professionals for help. Support experts will provide latest assistance for the burning of the CD using iTunes.